Foodie Friday – Paleo and Gluten Free and Allergies OH MY! I already noted the food allergies that Lisa deals with every day, and how hard it is to buy things without ‘fillers’ that cause her issues. Over the last month or so it has been even worse – she has been sick and on antibiotics twice, but perhaps the worst part has been worse-than-normal allergic flareups, including hives. So this week we were at her allergist / ENT surgeon for a follow-up (she had a CAT scan of her sinus cavities done recently), and after discussion he recommended that instead of trying a skin/blood check for food allergies (he came just short of calling them worthless) she should try the ‘caveman diet’ – Paleo. The irony is that over the last year or so I have been working hard at making sure our diet includes as much ‘clean’ and ‘whole’ food as possible. We all find that eating simple foods prepared in a way that you can still identify components, leaves us feeling better the next morning. This has also meant leaving behind old habits such as processed yogurts and low-calorie snacks. I also blame two other mindsets my wife and I carry: old weight loss ‘standards’ and ‘Weight Watchers’ from 10-15 years ago. The old standards told you CALORIES, CALORIES, CALORIES, and with weight watchers it was all about ‘points’ – and in both cases you were encouraged to eat ‘chemical soup’ such as fat free yogurts and salad dressings and so on, adn to avoid ALL fats and calories. Empty meals (lettuce, rice cakes, etc) were actively encouraged. So my approach was to start with ‘meatless monday’, and then continue to develop non-meat bearing meals that were nutritionally complete … but also ones that didn’t tweak Lisa’s allergies. As I mentioned before … IT WAS HARD. Plus, legumes such as chick peas and black beans were things we learned she wasn’t ‘allergic’ to, but definitely had a sensitivity. If you haven’t heard of Paleo – it is basically a return to the hunter-gatherer diet of the Paleolithic era. Meats, fruits, vegetables, tubers, seeds, and other things that would be expected to be easily collected and consumed in that era. What is NOT on the Paleo diet? Dairy, grains (breads and pasta, but rice, quinoa, bulgur, and so on), legumes, processed foods, and pretty much any packaged drinks and snacks. 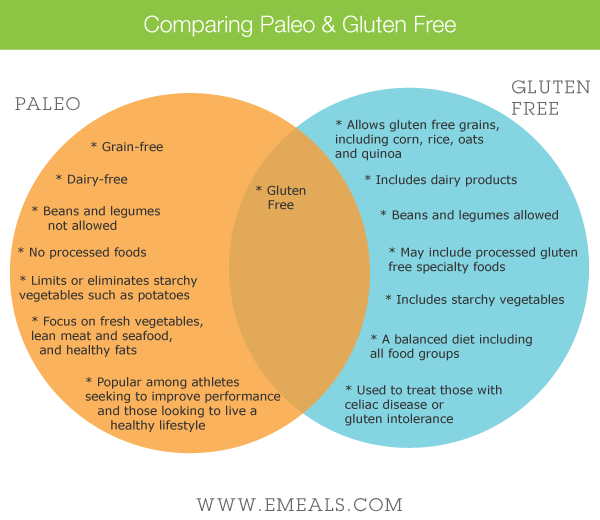 One thing I have been hearing is that ‘all paleo is gluten free, but not the other way around’. In other words, if you are living Paleo, you are already gluten free. Which is good because one recommendation for Lisa to try IS gluten free. I know it is trendy now, but it is worth checking out. So for breakfast it was eggs with arugala and olive oil, then a salad with grilled chicken for lunch. Who knows for dinner … but we’ll be going shopping this weekend for sure! The goal with this plan for Lisa is to get her to a baseline for the next week or so, then take one type of food and go heavy for a day, then return to baseline for a week. If she doesn’t react within a week that foor is OK. Then continue with other foods. For me that is not the most scientific approach because we know the body is a huge interaction machine, and this attempts an OFAT (one factor at a time) approach. So if she finds two foods that are fine by themselves … will they still be fine if she puts them together? – Have you done Paleo? If so, what are your thoughts? – Recipes and food suggestions? Remember she is allergic to tree fruits, and all nuts. – Any other thoughts or ideas as she starts going through this? This entry was posted in Family, Healthy Eating and tagged Gluten, Paleo, Vegan by txa1265. Bookmark the permalink. It’s challenging and take it one step at a time. My sister is Celiac and lactose intolerant. Therefore, she cannot have gluten or diary. Many people still do not understand how serious food allergies can be. I find her recipes online as often as possible. Whole Foods has some great resources regarding “special diets” on their website. Best of Luck and I hope Lisa feels better soon! Thanks so much – we really don’t think she has a gluten or dairy intolerance … but also think that strict elimination for a short time is not a bad idea to see how it goes! Oh, Lisa. I feel for you guys, as you know! I have never tried the Paleo diet, but in my opinion it is not necessarily the best for everyone because it eliminates some things completely that I believe CAN be healthy for some people (whole grains, legumes, and limited dairy). The fact is, though, that it is a very allergy/sensitivity-friendly diet, and most people with severe sensitivities do end up doing well on a Paleo diet because you’re eliminating a lot of the triggers. To me, it’s more of an issue of you may be restricting TOO much (and “what if” you could be just as healthy while still eating a food that you eliminate?). If it’s worth it to Lisa, I think the Paleo diet may not be a bad approach. It will still be hard – especially the fat component without nuts and coconuts (but avocados are fine, right? and olive oil?). I think you’ll be eating a lot of fish and vegetables (but rotating the vegetables to make sure she doesn’t overdo anything like squash, spinach, which you mention). Big soups/ stews will be good, too – you don’t need grains! For elimination diets, I would honestly recommend 2 weeks of a baseline before re-introducing foods. (I have read a lot about elimination diets and have tried them on myself, and for many things it actually does take the body up to 2 weeks to completely “reset.”) I get your point on the OFAT approach, although I’m not sure if there’s a way to completely experiment with every combination. Has she tried Alcat Testing? I’m in the process of becoming a practitioner (haven’t talked about it because I’m still learning and still testing myself) and I’m really liking what I learn about the test – it’s a lot more in-depth than many simple food sensitivity tests are. Again, this won’t help with the OFAT approach. OK, those are my (worth-less-than?) two cents. I know you know this and know that I offer my advice just as a friend, but in case anyone else reads this I feel compelled to caveat that I am NOT a doctor and I think Lisa and anyone else should talk to their doctor about this stuff rather than simply reading my comment :). Oops, one more thing … as you’re googling for recipes (if you do), try 21 Day Sugar Detox in addition to Paleo. The 21DSD is NOT Paleo (it does allow some limited grains/ legumes based on the “level” you choose), but it should have some good recipes that may align with her sensitivities. I have the book and may be posting some twists on recipes in the next few weeks as I experiment with it myself but a lot of the stuff is findable in the interwebs ;). That is a super-cool idea – I had already been checking out gluten free stuff to modify, so this is also a great approach. We know that because she can’t do any nuts, doesn’t tolerate avocados or coconuts, and so on that we will need to be flexible! 🙂 Thanks! Actually I definitely value your opinions on this because of the breadth of knowledge you bring. It really is tough … we were trying to figure out desserts tonight. Found a great list of ’47 pale desserts to make your mouth water’. And 100% of them were nut-centric. So we are still evaluating how to handle all of this in a way that sets her up to succeed. I personally would not go Paleo. I would remove all the foods she’s allergic to (obviously) and stick to all other foods, in larger/smaller quantities, depending on their nutritional value. For me the most important thing is to eat clean. I don’t eat red meat or poultry but I do eat fish, and all other food groups. I get what you are saying … and to an extent that is what we have been trying. This is an extreme move to try to figure out what is going on with her system. Because of her issues with nuts, etc … there is no way that Paleo would be a long-term solution for her.